We often receive calls from farmers or project developers inquiring about our carbon offset verification services. 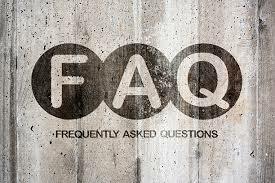 In order to help provide this information to interested parties, we are providing our top 5 Frequently Asked Questions. Please let us know if we can provide further information on your project. What carbon offset protocols are you able to verify against? We are currently certified to provide carbon offset verification services for livestock projects (i.e. digesters) through the California Air Resources Board. We no longer can verify projects in the voluntary markets that require ANSI certification as the demand for those projects was low enough that the projects we verified could no longer cover the cost of the ANSI credential. Can you help us set up our project or provide specifications on meter placement, etc.? The California ARB program (and all other reputable offset programs) precludes an arrangement where a verification body consults on a project and then verifies it. The purpose of the verification process is to ensure an independent third party reviews the project against the applicable Protocol. AWT ensures that we avoid these situations so that the Conflict of Interest review is as smooth as possible. I have an original/unique idea on how to reduce atmospheric carbon levels. Can you verify it for us? This is a complicated question. We can only verify a project against a Protocol. Currently, the major carbon markets have very detailed Protocols established on what can be included in their programs. If your idea is unique, it is unlikely to fit the established Protocol requirements. AWT has helped verify a few projects using a customized Protocol that was developed for a single specific project. However, these offset credits cannot be sold on one of the major markets (i.e. ARB). I have a new project and I am not sure how to get started on getting credits. Can you help with this stage of the process? All of the major Carbon Offset Registries and the California ARB program have a process of “listing” a project. This is typically the very first step in getting started with carbon offset projects. We recommend working with the excellent staff at the Carbon Registries to get this accomplished. Since there are time limits associated with this process, it is very important to start working with the registries very early in the development stage. More information can be found on the registry websites. What credentials and experience with Livestock Verification projects does AWT have? AWT, Inc. was founded as a company to help farmers with the environmental and regulatory aspects of running a livestock farm. All of our verification staff hold Professional Engineering licenses in Agricultural Engineering. Our team has successfully completed over 50 livestock project verifications for both swine and dairy farms. We believe our unique background allows for verifications to be as efficient as possible since our background is in livestock consulting.